DEADLINE FOR CONTEST SUBMISSIONS: MIDNIGHT FRIDAY MARCH 1ST 2019. 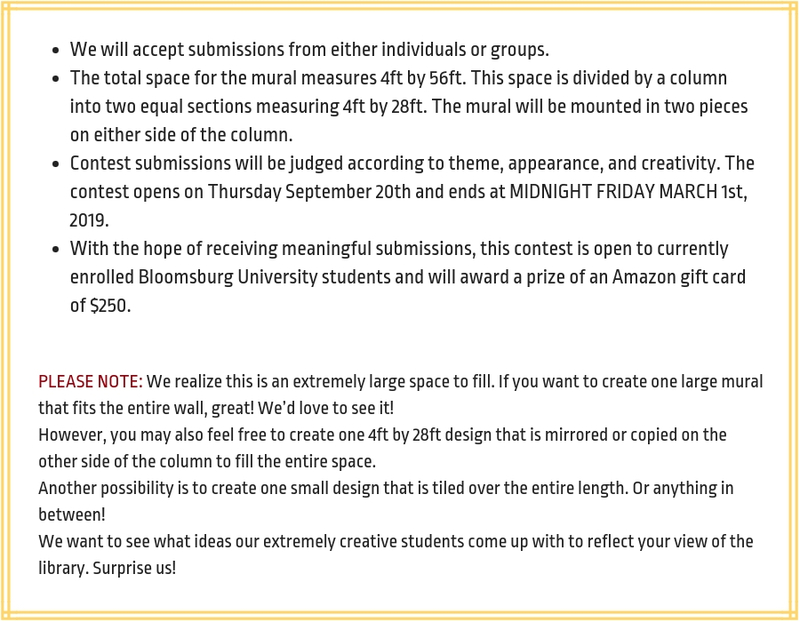 Please contact Library Services Administrative Assistant, Lissa Clark, at 570-389-4077 or lclark@bloomu.edu with questions about the contest. Please check that your submission meets these requirements. Please save your entry and completed submission form here. You do NOT need a Dropbox account to submit an entry.